Even back in 1887, you didn’t need to chop and lug real wood to have that real-looking fire experience. 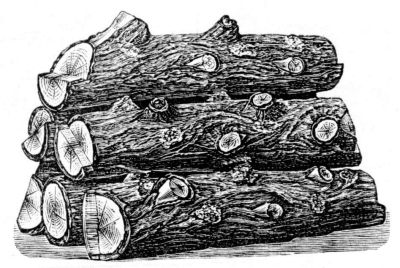 These fireplace logs were being sold by a company from Philadelphia. They offered several “forms of arranging artificial sticks or logs” for burning gas. They were designed to last a lifetime. Interestingly, they bragged about the inclusion of asbestos since it becomes incandescent when in use to create a more realistic looking fire.